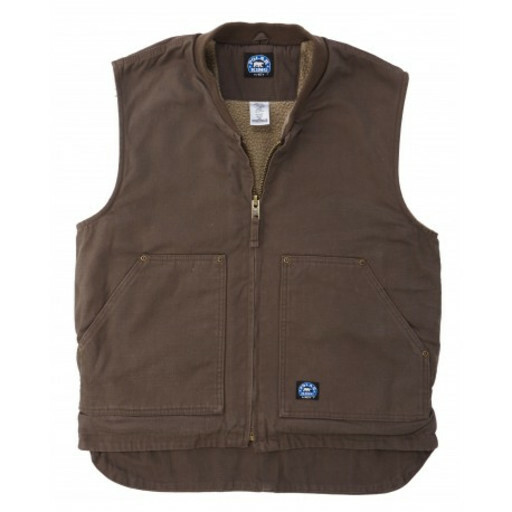 Premium Quality Vest - Durable and Warm! This sturdy vest is a 3-Season garment! Wear in the Fall and Spring as your outer garment when the weather is cool. In frigid winter weather add an extra layer of warmth under your jacket or coat. The 12 oz. duck outer shell is brushed and washed for a smooth feel, and is sturdy and keeps the wind out. The Berber lining keeps you nice and warm! Plus the pockets are fleece lined to keep your hands warm! Sturdy Construction for rugged service.